Professor Michel Pimbert is the Director of the Centre for Agroecology, Water and Resilience at Coventry University. An agricultural ecologist by training, he previously worked at the UK-based International Institute for Environment and Development (IIED), the International Crops Research Institute for the Semi Arid Tropics (ICRISAT) in India, the University François Rabelais de Tours in France, and the World Wide Fund for Nature in Switzerland. He has also done research for the UN Food and Agriculture Organisation (FAO), the United Nations Research Institute for Social Development (UNRISD), The World Conservation Union (IUCN), and the United Nations Educational, Scientific and Cultural Organisation (UNESCO). 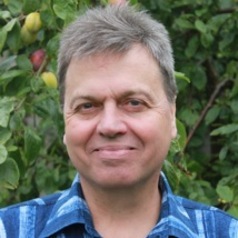 Professor Pimbert has been a Board member of several international organisations working on food sovereignty, sustainable agriculture, environment, and human rights. He is a member of the High Level Panel of Experts of the Committee on World Food Security of the UN Food and Agriculture Organisation (FAO). His research interests include: agroecology and food sovereignty, the political ecology of natural resource and biodiversity management, participatory action research, and deliberative democratic processes.